Avongrove Euphoria Organic might just be my favorite of the 2nd Flush Darjeeling teas offered by American Tea Room – and that is saying A LOT. All of the American Tea Room Darjeeling teas that I have tried have been at the very least memorable, and some have been downright fantastic. But for reasons that I don’t even fully understand myself, Avongrove Euphoria just seems to resonate with me. Sure, it tastes great, and is very drinkable, and even has an inviting aroma. I could realistically say that about ALL of American Tea Room’s Darjeelings. The difference with Avongrove seems to be in the effect: it really does seem to induce a feeling of euphoria. I LOVE to start off my day by brewing up a little pot and having a cup before I head to work. Then I fill up my to-go cup with Avongrove Euphoria and sip on it during my commute and when I finally settle in at my desk. I still haven’t figured out a way to brew up a pot for my afternoon tea fix, but I am working on it! It definitely sets the mood for a great, productive day, and I would love to have that pick-me-up in the afternoon as well. What is most surprising to me is how reasonably priced Avongrove Euphoria is. 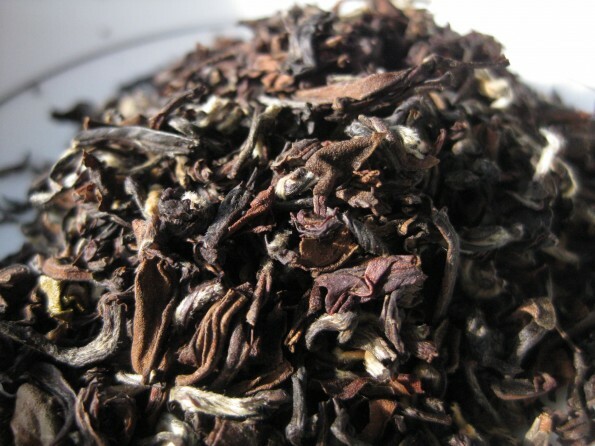 It may lack some of the more subtle flavor notes of the more expensive Darjeelings teas, but the great price point means that it is suitable for an everyday tea. And that is great news for me because of how much Avongrove Euphoria I drink. All said, American Tea Room’s Avongrove Euphoria is a very enjoyable tea that lives up to its name!